Last Monday, Kathleen Lights revealed her Morphe collaboration. I saw the palette and immediately fell in love. Even though it is currently out of stock, Kathleen said that she was trying her hardest to get Morphe to rerelease one more time, and I think she will succeed. I also believe you can purchase this palette in the Morphe store out in Los Angeles. In hope she will rerelease, I decided I would share my thoughts with you guys. I will also be posting makeup looks with this palette on my instagram, so be sure to follow me there (@shadowandgloss_) so you can check out the different looks I create! This palette retails for around $15 (sorry I can't remember the exact price! ), but you can always use a coupon code for any Morphe purchase (Kathleen's is just Kathleen i believe). Since the shadows don't have names I will refer to them by their rows. The first shadow on the top row is a very shimmery white shadow. This reminds me of a Mac Nylon type of shadow. I really loved how creamy and pigmented this shadow is. I love using it as an inner corner highlight or all over the lid for a really wide awake look. The next shade is a creamy matte shade. Its a little darker than a vanilla shadow but still is great for setting any concealer or primer on your lid. The formula on this shadow is very smooth and creamy and fairly pigmented. I love using this shadow to blend any uneven shadows in my crease! The third shadow is a warm brown. 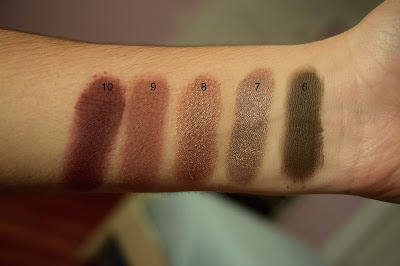 Of course there is at least one warm brown shade because this is a Kathleen Lights collab. Again, I really like the formula of this shadow and think it blends beautifully. The last two shadows in the row are warm shimmery shadows. They are both super pigmented and apply beautifully on the lid. I love applying both of these all over the lid with warm matte shadows in the crease. The first shadow in the second row is a beautiful matte cool toned charcoal grey. When I saw this shadow in the palette, I was surprised because it is very unlike Kathleen to include cool toned shadows! I am really happy she did though, because I think it was a really great addition to the palette. Although many other colors are very warm, I am able to integrate this matte shade into many different looks. The second shadow in the second row is a cooler toned purple shimmer. Again, the pigmentation is on point and it is super blendable and creamy. I absolutely love using this shadow with the one I mentioned before for a super dramatic and smokey look. The middle shade in the second row is a copper shimmer shade. Like everything else I have mentioned, the pigmentation is great and it has a really nice formula. I was a little surprised this color was included in the palette, especially since if you bend the right 2 shadows in the first row together, it creates a similar color. 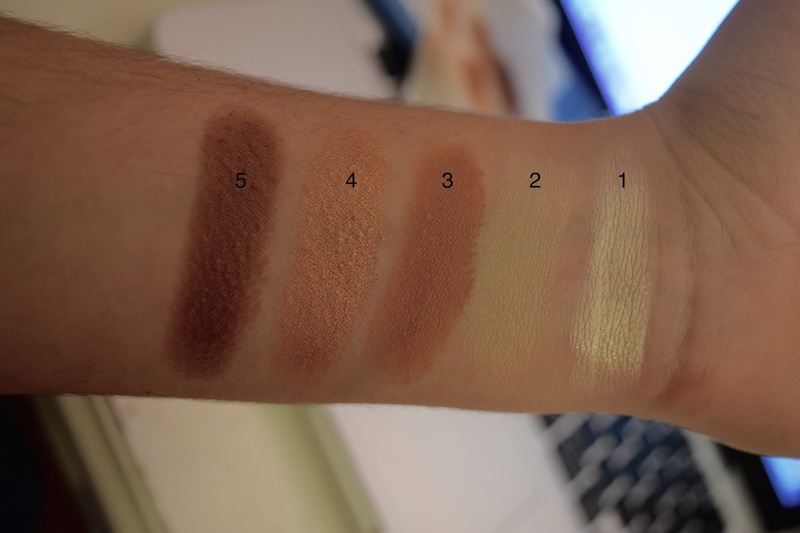 In the picture below, the top swatch is a mixture of the 4&5 shadows in the palette and the bottom swatch is the middle shadow in the third row. Although they are a little different, I still think they are probably too similar to have been included in the same palette. The next shadow is a beautiful matte mauve color. I am obsessed with these types of shadows, so when I saw this shadow was included I was very happy. Unlike some of the other mattes, the formula is on the dryer side. I am okay with that, because this is the type of color I would apply in my crease. I find that I have no issue blending even though it is not as creamy as some of the others. The next shadow is a matte purple/red color. It is super hard to describe, but you can see it in the pictures below. Like the shade mentioned before, this shadow has a dryer formula and is a little powdery. Even though this is shadow does not have the best formula, I love the color and can make it work. The first color is a GORGEOUS deep army green color. I find that, especially with brown eyes, green looks incredible as an eyeshadow. I love the deepness of the color and the pigmentation is on point. When I do an eyeshadow look with this product, I will definitely post a look on our instagram so make sure you give us a follow (@shadowandgloss_)!! The next color is yet another incredible green. Kathleen decided to add an intense pop of color and I am so happy she added this one. The pigmentation and formula is incredible and it is such a dream to work with. I cannot wait to create some sick looks with this shadow. The next shade is another warm matte shadow. Like those in the first row, the formula is really good. Compared to the matte shadow in the first row, this one is deeper and more orange. I think this color is super universal and will look great with a variety of different looks. The next shade is the definition of Kathleen. A camel brown. If you have been a long time subscriber to Kathleen's channel, you will know that the Bobbi Brown camel shadow was her favorite for such a long time, so I am not surprised she added a shade like that to her own palette. I really love the formula and think that this shadow will be a great addition to very warm and smokey eye looks. The last shadow in the palette is a matte black. This is the only shade I am so disappointed by. The pigmentation is really lacking on this shade and it is really really dry. 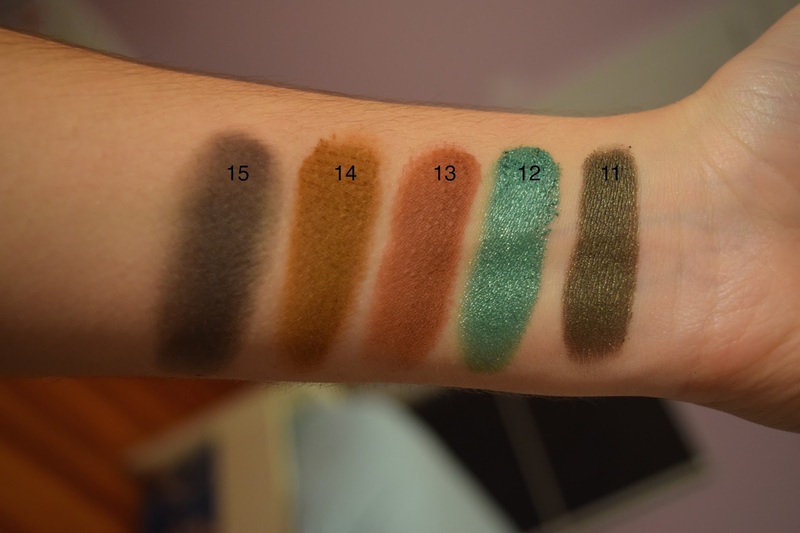 Unlike the other 2 drier matte shadows, this one is even hard to swatch. For me at least, the color is pretty unusable even though I appreciate that she added a matte black. Hopefully, I just got a dud because the shadow is a little disappointing. Overall, I really enjoy this palette and this it is an amazing value since it is so affordable! If this palette comes back in stock, I would HIGHLY recommend purchasing!